Want to read a terrific young adult gothic novel - for free? Marta Acosta has posted Shadow Girl of Birch Grove at Scribd for your enjoyment. I had the pleasure of an early read of the novel early last year and heartily recommend it. 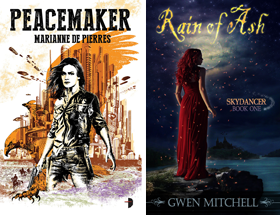 As Marta says in her newsletter it has some chills, romance, drama, and great characters. Book Description: Jane Williams sees no way out of her miserable foster home when she receives an invitation to attend elite Birchwood Academy with a full scholarship. They'll give her tuition, spending money, clothes, and she gets to live in the old groundskeeper's cottage in the middle of a birch grove. It sounds too good to be true. She expected snobbiness, but the students are almost too nice and welcoming. Her elegant and pale headmistress even offers Jane the chance to earn extra money by tutoring her gorgeous son, Lucky. An unknown enemy begins threatening Jane, but she's not easily scared...even though she suspects that something happened to a former scholarship girl and that the headmistress and her staff are hiding some very dark secrets. Thanks, Doug, for mentioning the book, and thanks Michelle for reading it! You know, writers want to be read. I've never been one of those people satisfied with writing in a journal and keeping it on a shelf. 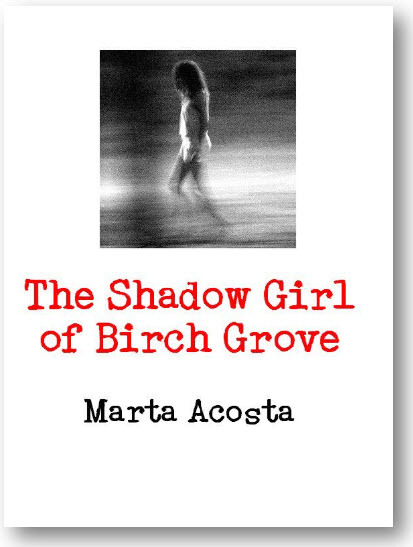 My books come alive to me when they're read, so thanks for sharing Shadow Girl with others! I read it and loved it, I'm a huge fan of Marta's...my only wish is that it would be picked up and mass produced. This looks great - I will go check it out right now! Marta thanks for sharing the book. It is far to good to be collecting dust on a shelf and hopefully some smart publisher will come along and say. "Why the heck hasn't this been picked up!" Thanks for another recommendation Tanya! Karen fans of Marta's other series will find a small connection between the two. Hope you enjoy it and let others know!